I am planning on expanding my Changemakers interview series, with the hopes of bringing you more interesting and inspiring stories, of those that are tackling waste in their own ways. Today's guest ticks both the interesting and inspiring, while proving that reducing is not just for the dedicated individuals with access to a bulk food store. The rubbish and plastic produced as a result of medication alone is substantial. For example, hospitals will usually over order on what is needed. But it's not without good reason. They do this to make sure they are ready to provide enough of a certain drug should it be requried. Once the drugs reach their expiry or pill packets are only partially used, they will be shipped off to a facility that will incinerate most of the left over medicine, even if it's still OK to be used. The waste of medication also happens in our homes. I can think of many instances when I have purchased a medicine, only to be given a higher amount that what is needed. Then it will sit in my cupboard, until it expires. The resources, packaging, transport....everything that went into getting the medicine to me is not completely valued when half a packet is thrown out. It's a tricky area to fix, but don't despair because there are organisations out there working to alleviate the problem of waste in our health care system, while providing help to those that cannot afford medicine. Insulin for Life is one of these, that is helping to provide insulin for those who cannot afford treatment, by collecting useable surplus medication that would otherwise go to waste. 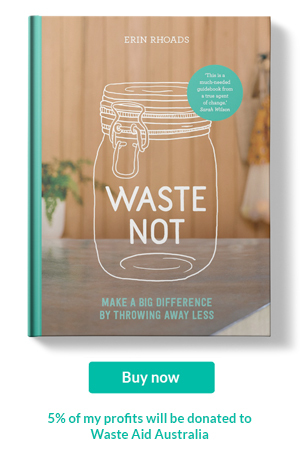 I spoke with board member and volunteer, Joanna Sader on her quest to reduce waste while providing a huge social impact. What is Insulin for Life about? 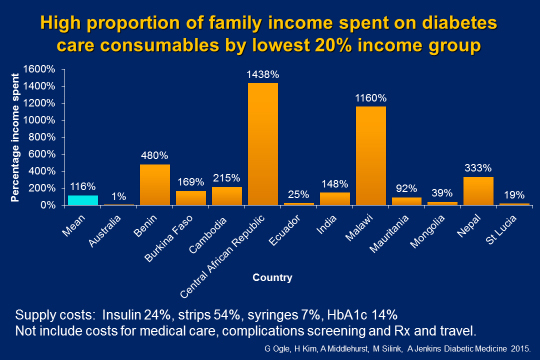 Insulin for Life is a health related not for profit that connects unwanted, unused, in date Insulin and diabetes supplies from first world countries; and connects them with the 50% of the worlds population who cannot access or afford Insulin. 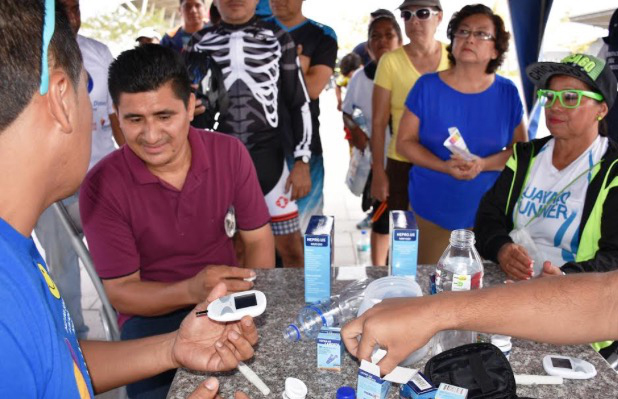 In addition Insulin for life also runs pro bono diabetes screening and complications camps for those children and young adults who cannot afford healthcare. At these camps pro bono health educators and doctors educate young people and their families around their condition and how to prevent and stabilise diabetes related complications. Insulin for life has a mission to save the lives of 20,000 people by 2020. The world health organisation estimates that Diabetes affects over 422 million people around the globe. Insulin for life is joining the global movement of sharing excess capacity; Insulin for life is to the pharmaceutical world as ubiquitous as AirBnB is to accomodation and Uber to transport. What prompted you to start the foundation? Our story starts in 1984, with 6 year old Arti from India. Arti had Type 1 diabetes, needing a daily supply of insulin. That insulin costs 148% of her family’s monthly salary. They scrape, borrow, beg and go without as much as they can for months to keep her alive. Ultimately, and inevitably, they are faced with the decision to keep Arti alive or sacrifice their entire family of 5 children. Pragmatically, they take Arti back to the hospital where she is left to perish. The story of Arti’s unnecessary death sparked something for Ron Raab, a worker at a diabetes clinic in Melbourne, Australia. 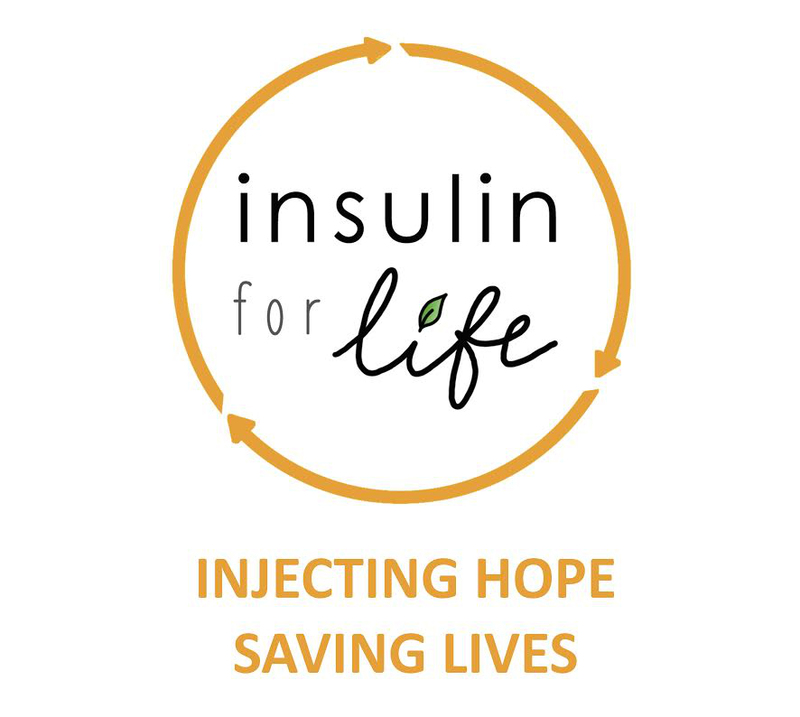 Insulin for Life, with the mission of connecting surplus diabetes supplies with those who need it, is born. These two pictures are of 6 year old Arti from India – the first one is when she was diagnosed with Type 1 diabetes. The second picture was taken just a couple of weeks before she perished, she had received insulin and she was thriving. However the cost of Insulin was 148% of her parents combined income and because of this they could not afford to keep her alive. I got involved with Insulin for life in memory of a close friend who unexpectedly passed away. At just 31 Fiona Kwok had type 1 diabetes and passed away from complications; Fi was a huge advocate for equal access to Insulin, and in her honour Insulin for life carries out the ‘Fiona Kwok Diabetes Complication Prevention Program” designed to prevent and reverse complications of diabetes for those in developing countries. Insulin is the second most discarded pharmaceutical in Australia. Take us through the process for those of us who want to contribute? Insulin for Life Global supports a network of 10 affiliate organisations who collect diabetes supplies to send on to partner projects in the developing world and raise awareness in their local areas. Australia, Canada, UK, USA are amongst the largest. Supplies are mostly collected from individuals with diabetes who have left over unneeded supplies such as mothers with Gestational diabetes. Once they give birth they no longer need Insulin. The largest barrier that Insulin for life faces is connecting supplies with those who need them, transport costs are the biggest barrier to overcome and that is why we need donations to sustain the operation. Raising awareness in countries like Australia around the fact that Insulin is the second most discarded pharmaceutical and generating awareness around Insulin for Life's mission has been an uphill battle along with our biggest challenge of attracting donations to cover the cost of transport. 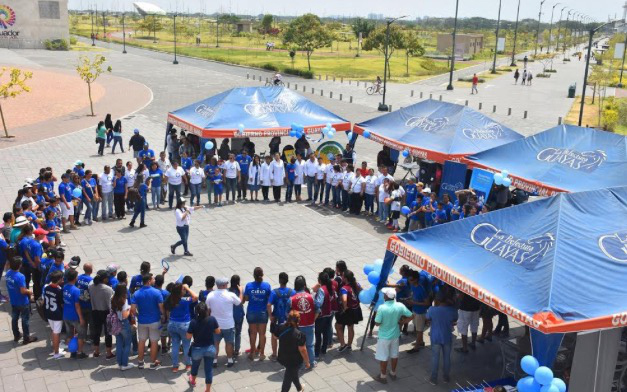 Insulin for Life global has been established to continue to raise awareness for and on behalf of all the global affiliates, mostly through social media. Do you think the medical industry could do more to reduce waste? Yes absolutely. In Australia alone there are approximately 30,000 women per year who have gestational diabetes (diabetes induced from pregnancy). Many of the donations we receive are from women who have so much excess in date medication. Typically we can receive up to 5 boxes from many of these women. Thats not only several months worth of insulin supply but that is roughly AUD$1000 of taxpayer funded product that cant be reused in Australia. If smaller packaging and volumes of scripts were made available then perhaps Insulin would not be the second most discarded pharmaceutical in Australia. What are some of Insulin for Life achievements so far? To date, Insulin for Life has saved over $12 million dollars’ worth of supplies from landfill, and diverted it to keep over 20,000 people alive in 74 countries. In addition we have educated hundreds of children and young adults along with their families around their condition whilst providing western standard access to diabetes complications clinics. Depression is a real challenge of having diabetes as a young child or adult as is nerve damage that can cause impotence for young men. Without education many young men suicide and lead an isolated life with depression. The education provided can help reverse and prevent complications such as these. Tell us Insulin for Life plans for the future? Insulin for life global has been established to raise awareness and donations around the global mission. We will be focusing our camp efforts within South East Asia over the next 3-5 years where incidence of diabetes is rising; mainly in places like Cambodia, Vietnam and Laos. That just $5 could help save a life by transporting Insulin and stop the unnecessary waste of life saving medication.